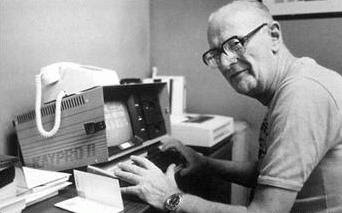 I am not at all ashamed to admit that, for several years, I kept the above photo on a bulletin board in my home office because... because... well, because I thought it was the coolest thing in the world that Arthur C. Clarke and I both used the same freakin' brand of computer. Sweet. Of course, he produced a lot more with his Kaypro than I ever did with mine (or, truth to tell, with any other computer I've ever owned, or ever will own). Still, it makes me smile just a little to know I had some very, very small connection to an immortal. I grew up with the Osborne 1, but I knew a lot of Kaypro users through F.O.G. meetings. 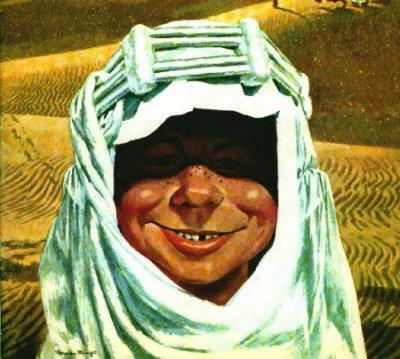 I've always loved that picture too.